Donato J. Tramuto is the CEO of Tivity Health, Inc (NASDAQ: TVTY), a leading provider of fitness and health improvement programs, with strong capabilities in developing and managing network solutions in healthcare. A recognized innovator and industry leader, he has more than 35 years of healthcare experience, with a deep commitment to global healthcare access, a steadfast focus on patient outcomes and a keen understanding of digital solutions. 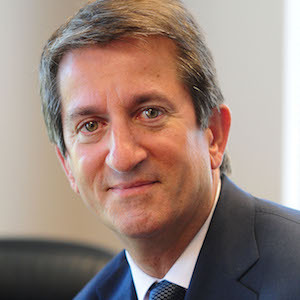 In less than a year after being named Tivity Health’s CEO, Tramuto executed a turnaround of the company’s performance by harnessing the lessons he learned through various adversities and “bulldozer” moments, and engineered a creative sale of one of the company’s non-performing divisions, adding nearly $1 billion of valuation to the company. In 2008, Tramuto founded Physicians Interactive Holdings (now known as Aptus Health), a global provider of insight-driven digital engagement solutions for healthcare professionals and consumers. There he served as CEO and chairman prior to joining Tivity Health, Inc. In 2011, Tramuto founded Health eVillages, a non-profit organization which provides state-of-the-art mobile health technology in the most challenging clinical environments. He is also the chairman and founder of the Tramuto Foundation, which helps individuals and organizations achieve their educational and healthcare goals. Tramuto has been widely recognized for his more than three decade commitment to social change and healthcare innovation. In 2014, he was honored alongside Hillary Clinton, Robert DeNiro and Tony Bennett, with the prestigious Robert F. Kennedy Ripple of Hope Award. He is a 2017 recipient of the Robert F. Kennedy Children’s Action Corps Embracing the Legacy Award, which recognizes individuals who have worked tirelessly to better the lives of children and their families. In 2015, Tramuto received an honorary doctorate of humane letters from the College of Fine Arts at the University of Massachusetts at Lowell; in 2017, he received an honorary doctorate of science from Thomas Jefferson University; and in 2018, he was awarded an honorary doctorate of humane letters from Lasell College. Donato Tramuto is a three time PharmaVOICE 100 most inspirational leader honoree and a recipient of the PharmaVOICE Red Jacket Award, which recognizes individuals in the life sciences field for innovative and motivational approaches to addressing industry challenges. In April 2018, he was invited to present at the prestigious Unite to Cure, the Fourth Annual Vatican Conference on global health. Tramuto serves on several executive leadership boards, including the board of the Boston University School of Public Health, the Livongo Health Foundation, the Brown University Healthcare Leadership Board, the board of directors for Sharecare, Inc. In 2016, he was appointed to the board of Robert F. Kennedy Human Rights, where he serves as chairman of the Leadership Council and is leading a national initiative to address workplace dignity. Tramuto is also chairman of the board of Robert F. Kennedy Center for Justice & Human Rights Europe.